Gallop across broad meadows, trot along shady forest paths, feel the unique sense of freedom amid our alpine world you can only experience on horseback! Enjoy all of this at the Bacherhof in Pfitschtal. We offer guided half- and all-day rides through the unique natural countryside of Pfitschertal. 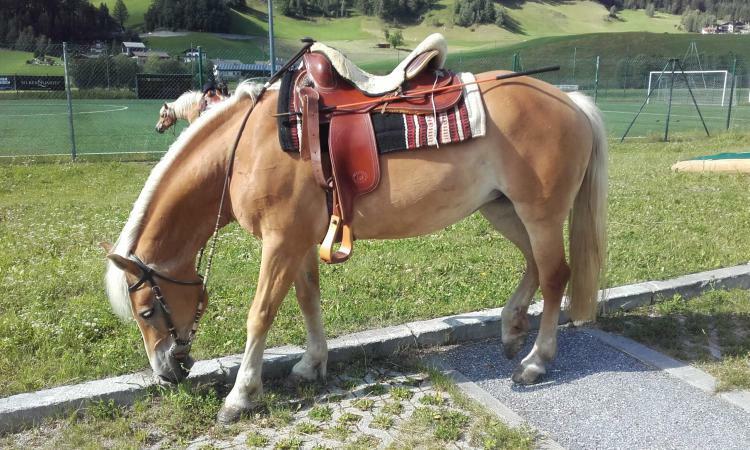 Are you very safe in the saddle and do you already have riding experience? If so, nothing stands in the way of you enjoying a leisurely all- or half-day trail ride through the beautiful countryside of Pfitschtal. You will be accompanied by your host and certified trail guide, Rudolf, or by certified trail guide, Greta. 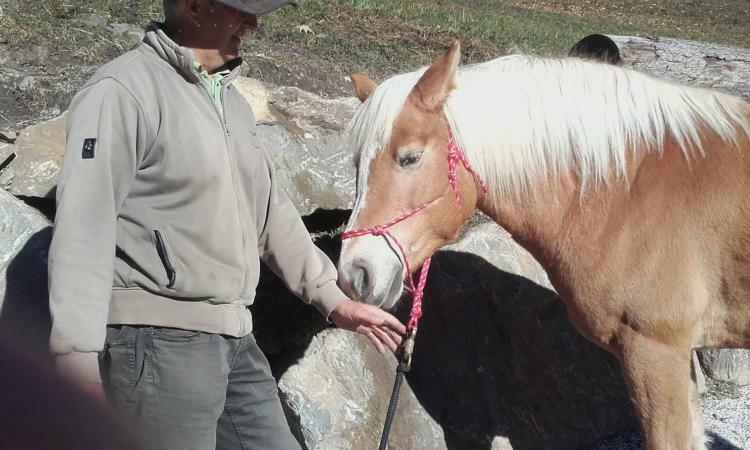 As always, you will first have an opportunity to get to know the horse personally. We would also be more than happy to make arrangements for riding lessons in our riding paddock as well as for training on our cross-country course with its natural obstacles. For some people riding is already a fascination, though for most it’s a whole new, and very special experience! 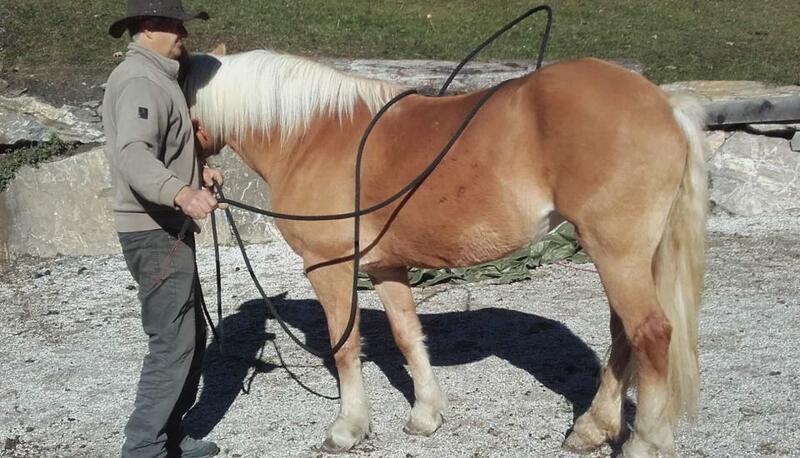 That’s why we begin our riding lessons by getting to know, and saddling up our horses. 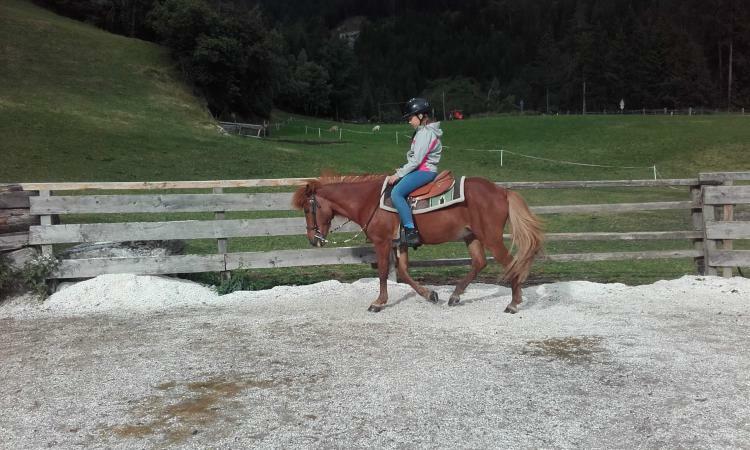 Based on ability level, the rider will generally start out by riding a few circuits on the lunge line, before assuming complete responsibility and taking the reins for themselves. By arrangement, children accompanied by their parents and a riding instructor are welcome to enjoy their first riding experiences in our riding paddock, developing a sense for the natural movements of the horse. Would you like to show your child what it means to take care of a horse and even prepare its feed? 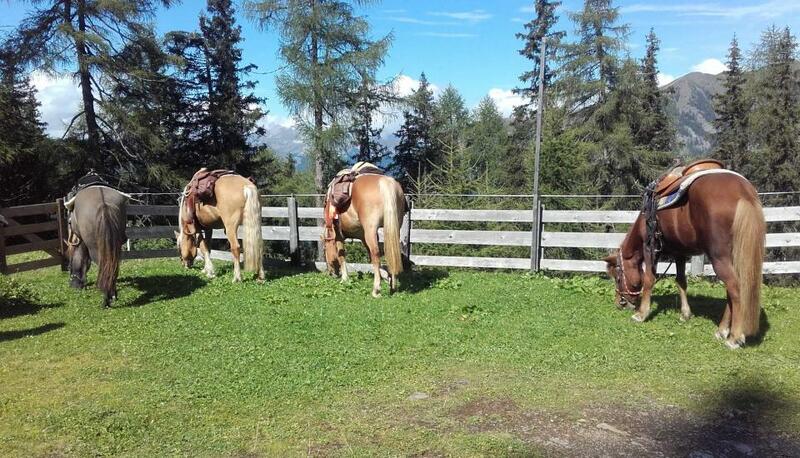 If so, you can actually reserve one of our horses for the duration of your stay. That means, you will be responsible for regularly grooming and feeding your horse. And of course, you also get to practice with your horse in the riding paddock.